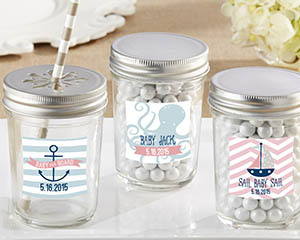 These personalized glass mason jars will be anything but castaways at your upcoming baby shower. Available in three vibrant and fun nautical prints, these Kate Aspen glasses are so cute your guests will ask for extras to take home. 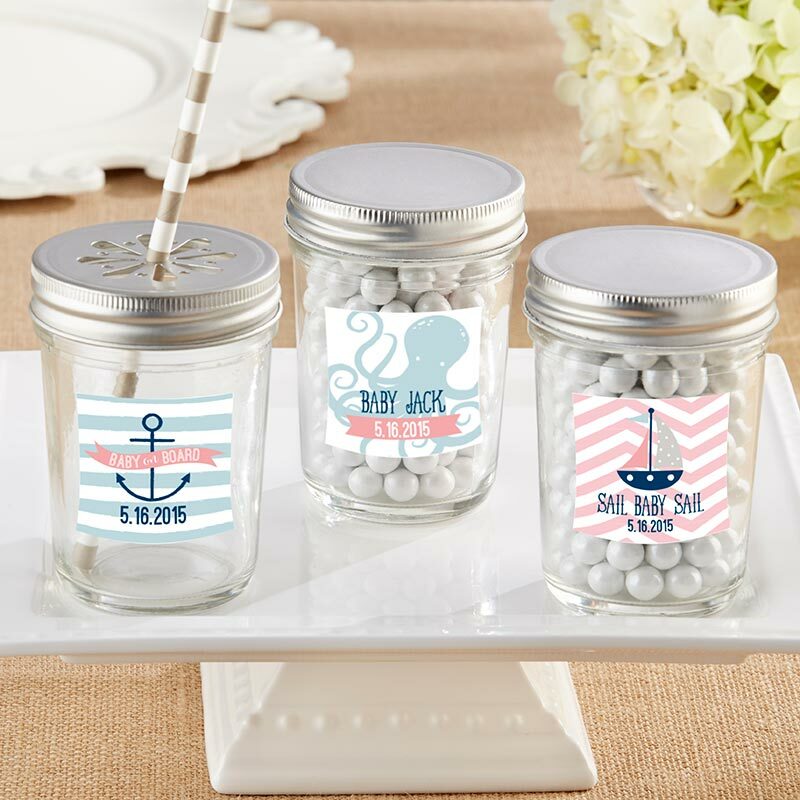 Choose from the playful octopus, the vintage anchor, or the eclectic sailboat in baby pink chevron.